John Hartson believes that the goals of James Forrest will see him pip Callum McGregor for the Player of the Year awards. 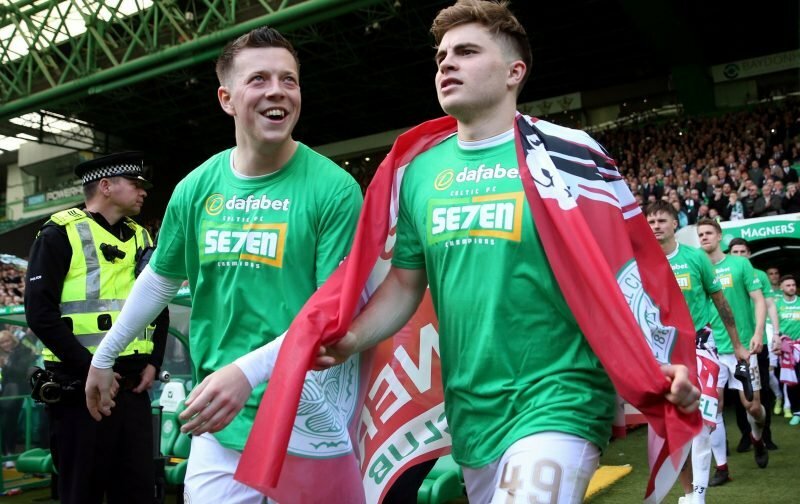 The two Academy graduates have been the driving force behind Celtic’s Treble Treble bid with no signs of fatigue setting in as they chase their next winners medal. McGregor’s flexibility has been fully utilised this season with outstanding performances delivered from central midfield and also further forward when called upon. Goals change games with Forrest heading for the 20 mark for Celtic as well as notching his first five for Scotland. Over the last couple of weeks the winger has scored the winning goal in a Glasgow derby and opened the scoring in a cup semi-final to take the hoops to within touching distance of an unprecedented Treble Treble. Take his goal against Rangers for example. You can’t underestimate how good that finish was. There was 85 minutes on the clock, Celtic hadn’t played that well in the second half, Rangers are down to 10 men and you are under pressure. Last season Scott Brown swept the boards with the Player of the Year awards.